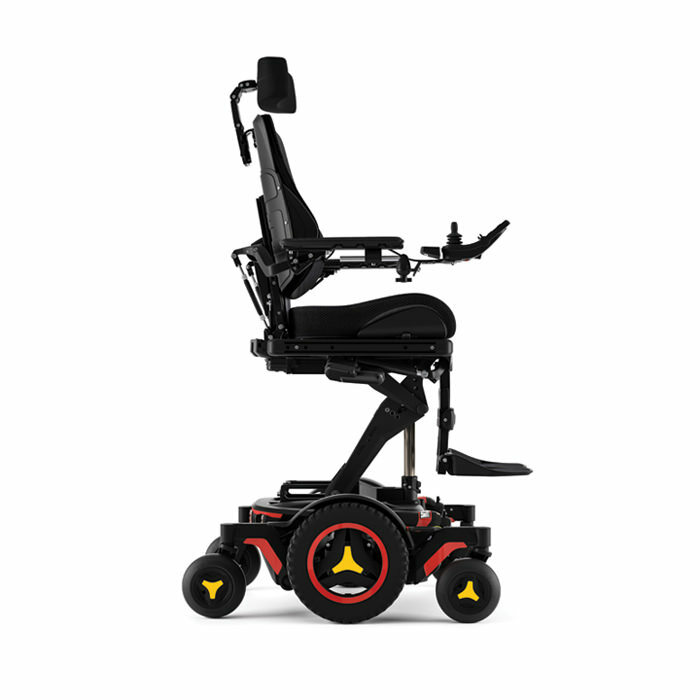 Permobil M3 Corpus power wheelchair is engineered to help maintain better positioning, feel more secure and reduce driving fatigue. M3 corpus helps in ensuring improved driving performance and a more consistent driving experience for users especially at low speeds, in tight areas, or while using a variety of alternative drive controls. 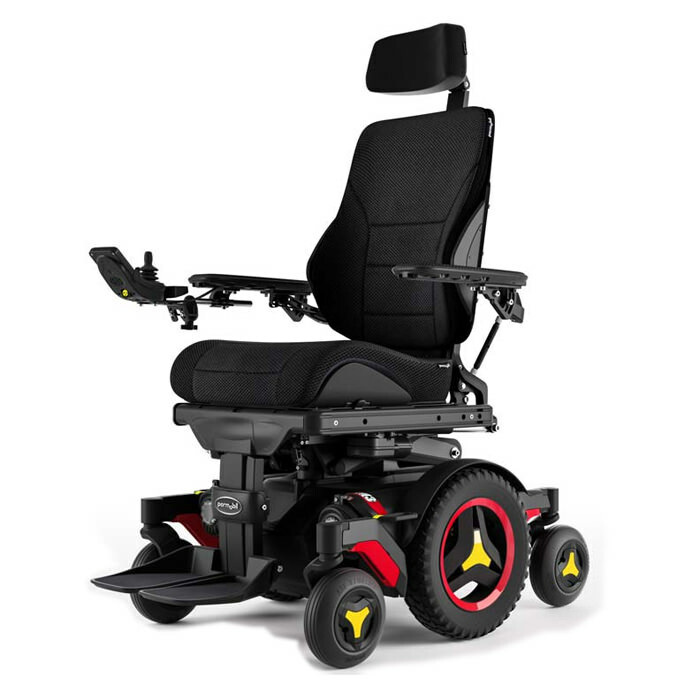 M3 corpus wheelchair is one of the most capable mid wheel drive power chair that maintains full suspension at any elevation, seating position or driving speed. FlexLink Suspension: The unique suspension geometry and linear spring design of M3 corpus provides a more stable chassis while the patent pending vibration damping FlexLink™ ensures a smoother ride over a variety of surfaces. 3.2mph @ 12" of seat elevation with full suspension: The innovative combination of swing arms, linear spring design and FlexLink™ suspension enables the M3 to achieve full suspension at any elevation, seating position or driving speed so that a user does not have to sacrifice comfort for function. For more stability in elevation, the seating system moves rearward 3.5" and maintains three points of contact with the chassis at all times. Caster Glide: An improved 7" caster design and adjustment-free flutter dampening device means you will move more confidently at low speeds, in tight areas, or even while using a variety of alternative drive controls. 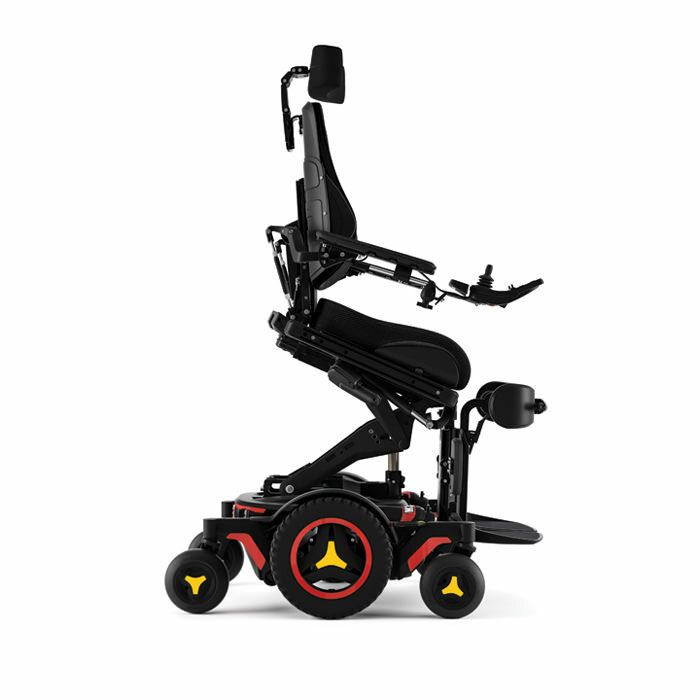 The user can now turn the wheelchair as they want with full caster clearance even at 90° leg rest position. Corpus® Seating System: Features an ergonomic design that follows the contours of the body. 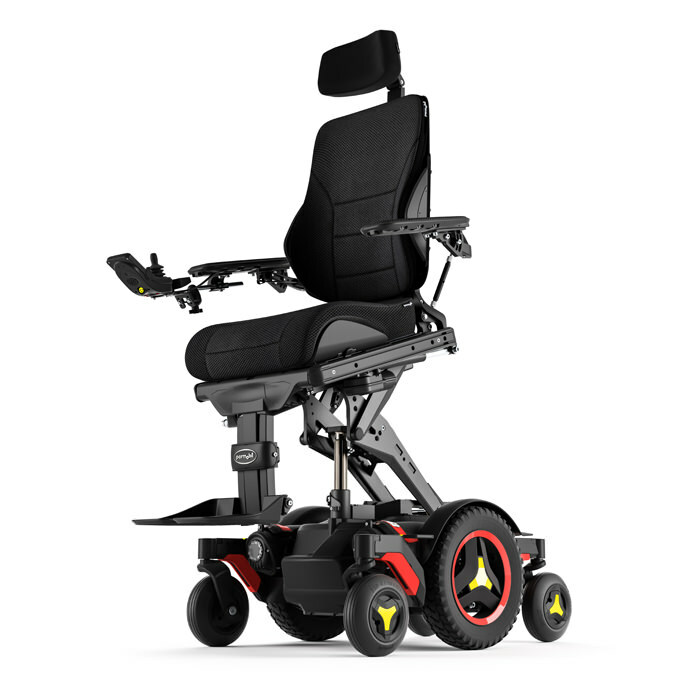 The seat width and depth adjustments are indexed and clearly marked for a custom fit, and the adjustable backrest has a strong formed aluminum shell that accommodates virtually all after-market backrests. For added comfort, the seat cushion provides a space for a variety of Ischial inserts and the seat cover is available in both black mesh and leatherette. 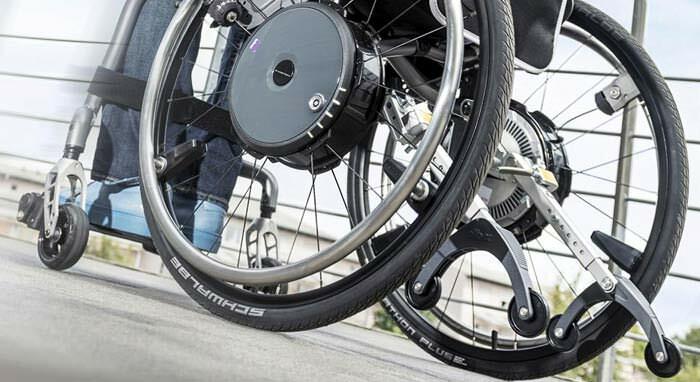 ActiveReach Technology: With the combination of 12" of seat elevation and Corpus seating functions, Permobil's ActiveReach™ technology enables you with up to 20º of forward tilt. 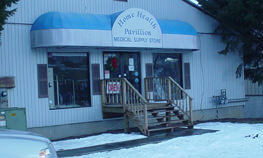 This can be used for reaching beyond obstructions, into high cabinets, or even assist in transfers. NOTE* Actual driving range will vary based on driving and battery conditions.